There was a tornado in Yazoo City, MS like a year before the Superoutbreak of 2011. I believe it occurred on April 24, 2010 and was rated low-end EF4 which seemed reasonable given the damage it did in and around Yazoo City. It was huge like 1.75 miles wide and on the ground for nearly 150 miles. 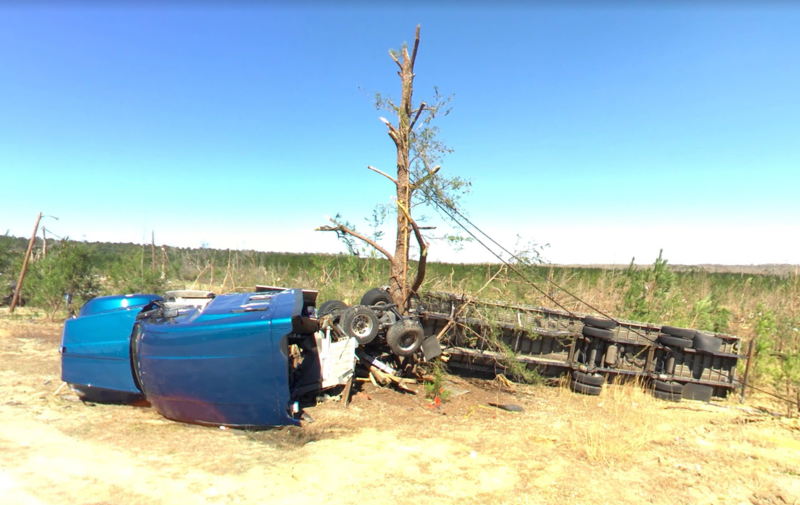 Do you suspect that tornado may have been capable of EF5 damage somewhere along its track? 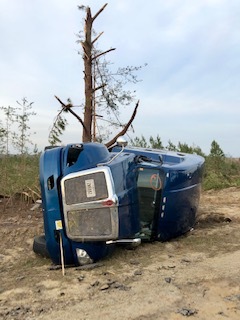 BEAUREGARD, Ala. - Officials with the National Weather Service are now calling Sunday's storm a 'tornado outbreak'. 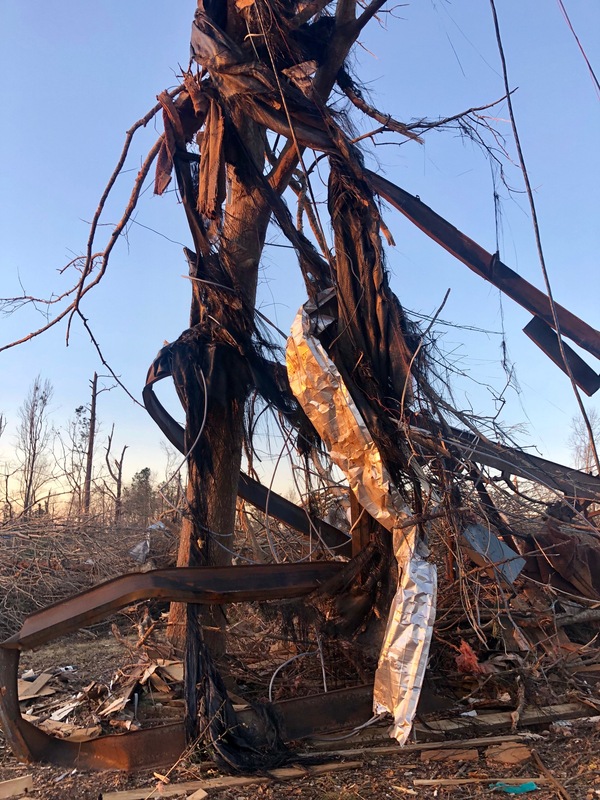 Birmingham meteorologist-in-charge, Chris Darden, says he believes 30 tornadoes touched down total on Sunday. 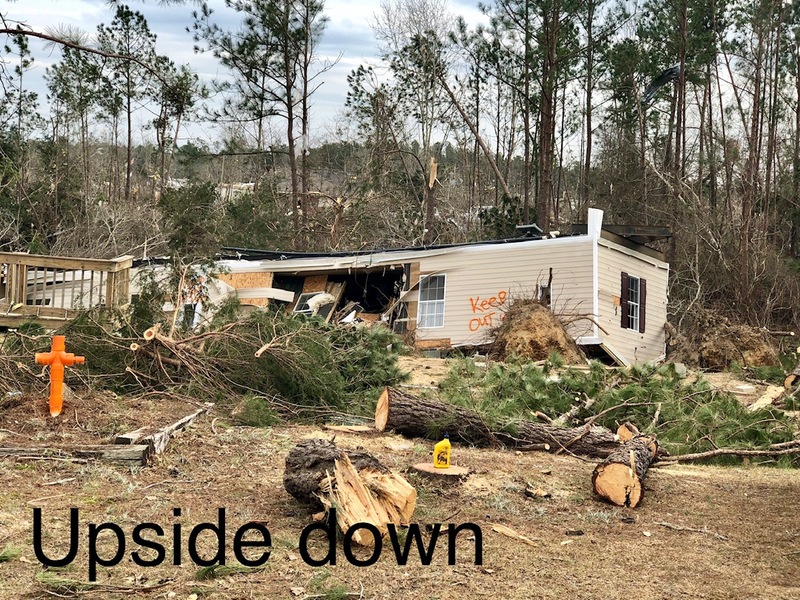 Twelve of those were in Alabama and four tornadoes touched down in Lee County. One of them was an EF-4. The last time an EF-4 hit the county was March 20, 1875. 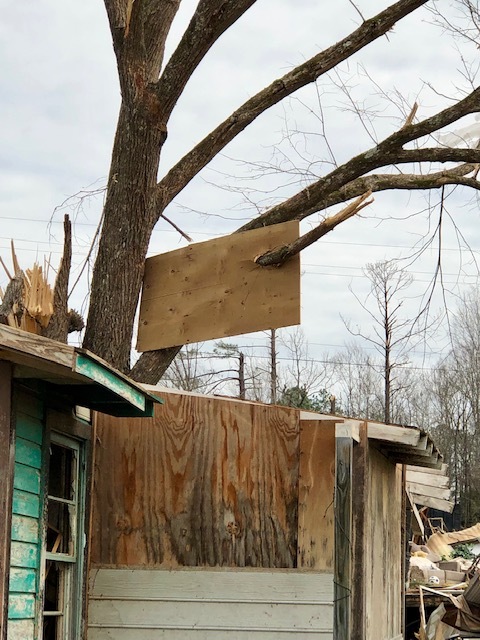 This storm was the deadliest March tornado in Alabama since March 21, 1932. Outstanding live coverage from WSFA of the Lee County tornado. (CNN) — Often times the worst situations will bring out the best in people. 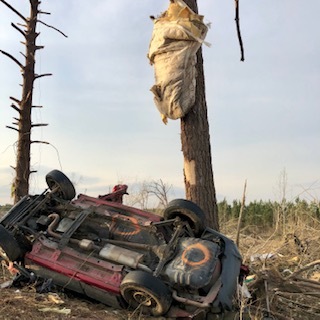 That's proving true once again, this time in southeastern Alabama, where residents are still reeling from an outbreak of tornadoes that killed 23 people this week. But their loved ones won't have to worry, at least, about the costs of the funerals. 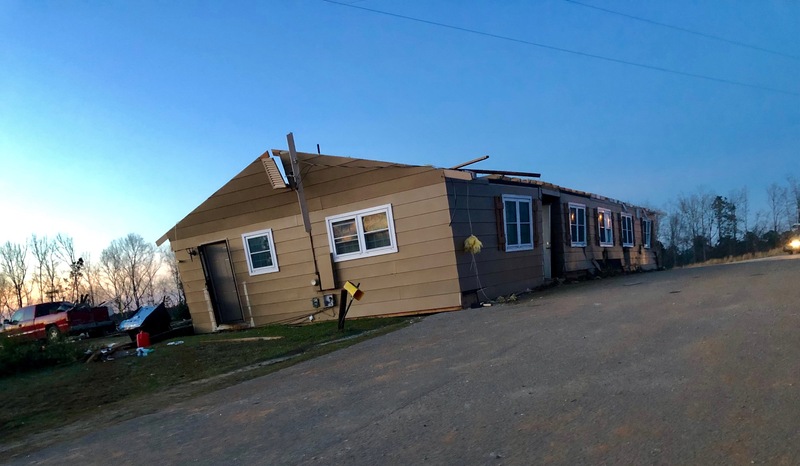 A Native American tribe says it will cover the funeral and burial expenses for all the victims of Sunday's tornadoes. Just found this video from the Eufaula airport. Amazing how fast it came through. Several aircraft destroyed, fire station destroyed and a hatchery owned by Keystone Foods/Tyson suffered major damage. Mattress embedded into a tree. 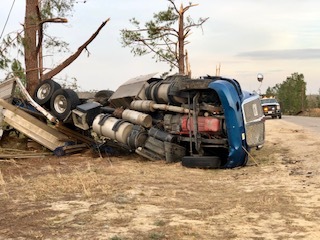 A few more of the 18 wheeler. Stories of neighbors finding deceased neighbors are heartbreaking. A few more from Beauregard. According to the owner, his house was picked up and sat back down nearly in the street. He lost a few teeth, but unharmed otherwise. Trailer framing wrapped around a tree. 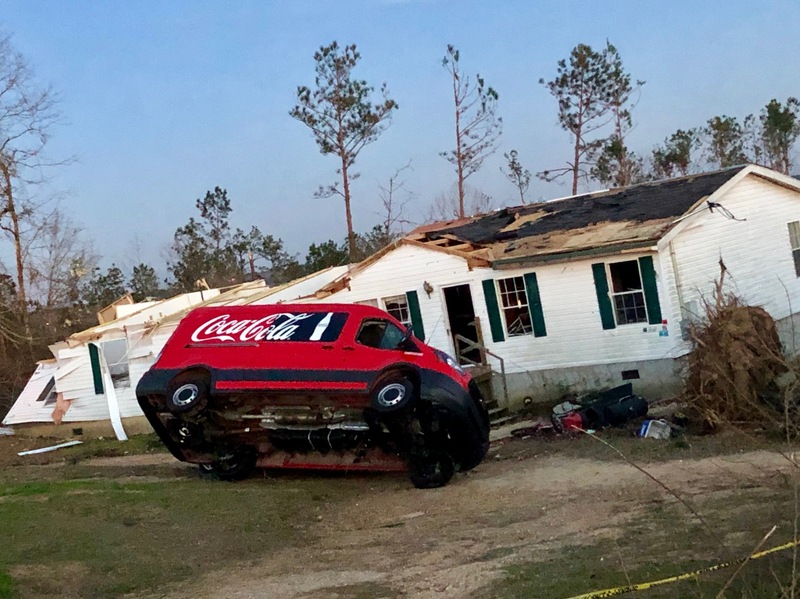 The coke van is actually leaning against another car. An upside down trailer.